Arizona Injury Law Group PLLC was founded by Weston S. Montrose & Briana E. Chua. Weston and Briana were partners for many years practicing workers’ compensation law at an Arizona law firm before deciding to create their own firm dedicated exclusively to representing injured workers. For over a decade each, Weston and Briana have been fighting for the rights of injured workers and battling with insurance companies that deny their clients the benefits they deserve and need. Weston and Briana strive to educate and guide clients in order to ease the complicated and often painful process of navigating the Arizona workers’ compensation laws. They believe it is important for their clients to be a part of the process and know what the next step is in their case. They understand this process is not something you should do blindly or without legal guidance. They know that understanding what is happening and why along with having a strong advocate will help you be less worried and stressed. Briana and Weston also understand that your case is completely unique and we will work with your personal goals and interests in mind. They will advocate and represent only you and your interests. They want to help you get what you need. Gina has been working as a Paralegal for the past 3 years. She graduated from Phoenix College in 2013 with her Associate’s Degree in Paralegal Studies. Gina is also bilingual, fluent in both English and Spanish. Several years ago, Gina’s mom was injured at work and had to navigate the Arizona workers’ compensation system. She learned firsthand how difficult and intimidating that can be, especially for those who do not speak English well, or at all. This experience has helped her work with clients at Arizona Injury Law Group PLLC. She enjoys football games and spending time with her family and dog, Fitzgerald. Zuleima is a legal assistant at Arizona Injury Law Group, PLLC. 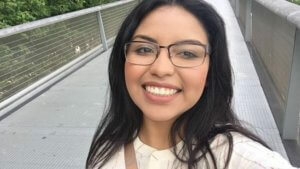 She is fluent in both English and Spanish and is also pursuing her higher education at Gateway Community College. 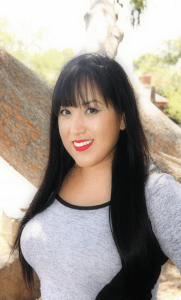 Zuleima joined the Arizona Injury Law Group team in 2018, because she enjoys helping people. Previously, she worked at an assisted living facility where she worked with elderly and disabled residents. In her free time, Zuleima enjoys traveling.